Audiobooks are amazing because they present your work to a new slice of market. People who enjoy audiobook might not read at all, because of time constraints or personal preference. For example many commuters devour audiobooks. 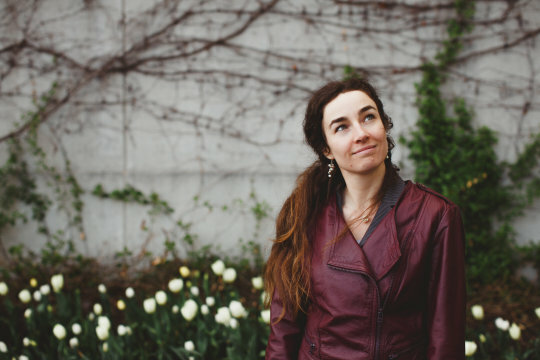 So, how do you produce an audiobook? 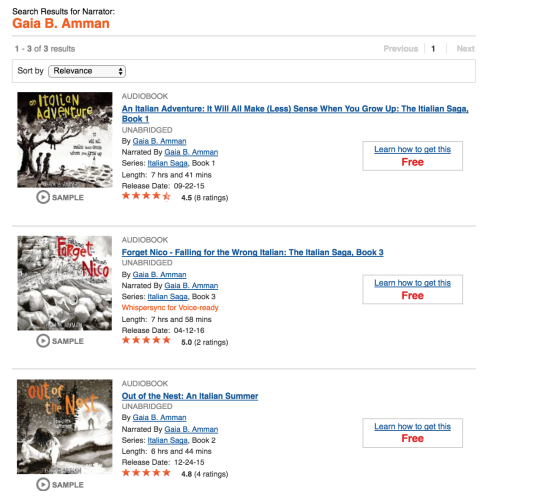 Easy way: go on http://www.acx.com/ and hire a narrator to read your book. You will have to split royalties with them. Indie way: do it all yourself. If they are packed with clothes or boxes it’s even better because these “soft” objects absorb sounds. Avoid hard surfaces that might create echoes. If have an echo problem, cover your working surface with a blanket. A “pop filter”: this will cost you about $5. It’s a circle you mount in front of your mic that prevents abrupt gusts of air due to sibilant (Ss, Fs) and popping letters (Ps, Bs) to affect your recording. Detailed instructions will change based on the software you use, but RMS buddy will show as an “effect” you can select for your track. 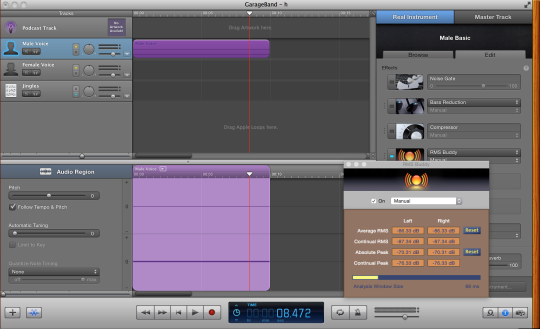 For Garage band: Create a new project (either “voice” or “podcast”). Click on the “i” icon at the bottom right of the page to be able to select your effects. RMS buddy will show up as one of the options available. Make sure your mic is plugged in. Typically Garage band will detect it and ask you if that’s what you want to use. Keep in mind that I am a profane who knows nothing of sound engineering and determined a process pretty much empirically (with some help from a better educated friend). If I did it, you can too. 1-Determine your background noise. Hit record and do nothing, say nothing, don’t move. After a minute or so, stop. Deselect all effects except RMS buddy. 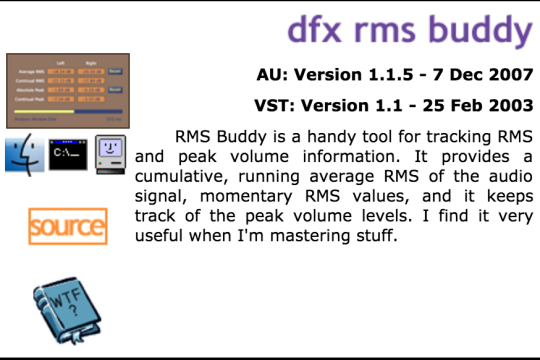 Double click on the RMS buddy icon and re-listen to your recording: you want your average RMS to be less than -60 (for example in the figure above it’s -86). 2-Before you start: work on your enunciation and pace. You will have to be clear and consistent. Personally I hate narrators that read like robots and I do a little interpretation. Check the pronunciation of words you are unsure of. I read from my monitor to avoid the sound of pages turning. You will have to make no noise. No clicking of the mouse, no coughing, no phone buzzing, no computer fan starting (SSD computers are ideal for recording because they are silent). 3-Each finished chapter will be a separate file with 1 second of silence, chapter number, chapter title, chapter content, five seconds of silence. 4-When ready to start, hit record, set up your page then wait a good five seconds before you read. You will edit this part out, cutting all clicking and fumbling noises. When you finish a chapter wait at least ten seconds then click off. You will need to leave five seconds of silence (no clicks!) at the tail of each chapter. 5-Before you record a whole book, make sure the quality of your chapter is what you need. When you read, you need your average RMS to be between -23/-18. dB You can fiddle with the effects to make your chapter sound ideal. -Pick limiter: this will also affect your average RMS. I set my pre-gain at -3 dB. 6-While most people to all the editing at the end, I like to do one chapter at the time. Listen to your chapter again, while following on the text (this is amazing for proofing, by the way!). Check for mispronunciation, mishaps, and noises. Go back and record again parts that need editing. When the chapter is ready cut out the lead and trail silence leaving one second in front and five in the back. Closing credits (same, plus anything you want to say about upcoming titles, your blog etc…, keep it brief! ), a five minutes sample (Some authors record something special, some others just select five minutes out of a chapter). 9-If you want to use music you can find royalty free music at http://incompetech.com/ just make sure to acknowledge the composer in your closing credits. If you want to use sounds in your audiobook, you can find royalty free sounds at https://freesound.org/. 10- Calculate an average of 100 hours of work for an 8 hour audiobook. Click here to play the example.